Grace and her husband are celebrating twenty-five years of happy marriage, and she plans a surprise trip to Paris as an anniversary gift. Only her husband has a surprise of his own, a devastating one. He’s filing for divorce. Grace makes an emboldened decision to take the trip to Paris by herself. Audrey has her own heartbreaking story and reason for leaving London for Paris. She finds a job in a delicious bookshop and makes her getaway. And then, Grace and Audrey cross paths in Paris. They are living separately in apartments above the bookshop, and through their friendship, they heal and come-of-age in the new phases of their lives. Sarah Morgan writes the most uplifting stories. 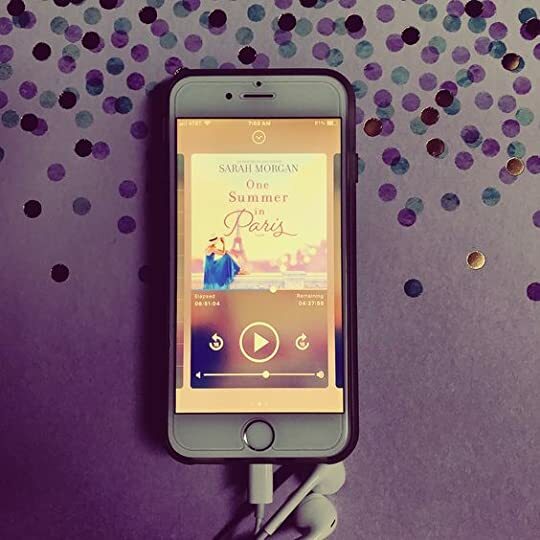 Grace and Audrey have had their share of heartbreak, but when they choose to turn the page, we go with them and know something good is in store for them, thanks to Sarah Morgan. The story is entertaining, engaging, wholesome, and warm. I was completely lost in it and within Grace and Audrey’s friendship. I felt like they were my friends, too. There’s so much more here than first meets the surface, and it’s all worth its weight in gold! Melissa Fantastic review, Jennifer! I really need to find time to read some of her work. Up until about 80% I would probably ha Sarah Morgan is the author of the Snow Crystal Trilogy, a series of books that I read every Christmas because they are just such heartwarming fab reads. When I saw that One Summer in Paris was coming out I thought I’d give it a go, see if her summer offering was as good as the festive fayre I favour from her. Up until about 80% I would probably have given this book a solid 4 – 4.5 stars. It has good character building, a plausible plot, and relatable family dynamics. And then something happened that just completely ruined it for me. Grace is a 47 year old teacher, with a loving husband of 25 years and a teenage daughter, who is about to depart for college. They live in America, in their small town, where every one knows every one else, and things have been the same forever. One day Grace’s husband David, drops the bombshell that he is having an affair and leaving her. Not only does he drop his news on Valentines day, it is also their 25 year anniversary. Grace had planned a summer holiday to Paris for the two of them as an anniversary present, but now has to face the reality of either going alone or giving up the tickets. So first plus point for Grace is that she decides to go alone – hurrah! Audrey is a teenager from England, who needs to get away from her alcoholic mother and the home situation that puts her in. She is a carer for her mother, cleaning up after her, making excuses for her. Her mother, Linda, has no time for Audrey as she is so wrapped up in herself. Audrey finally manages to save enough money for a summer trip to Paris, only for Linda to inadvertently throw it out. After much distress and angst, Audrey’s work pals buy her a ticket and she is on her way. 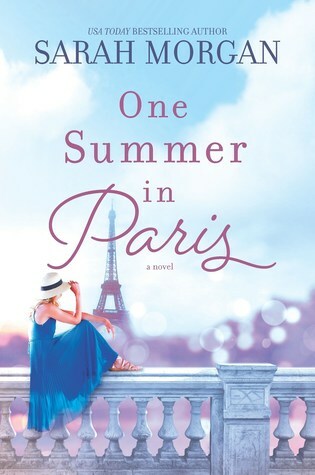 Grace and Audrey meet, they become firm friends, and we follow their summer in Paris. Now, I was really enjoying this story. Grace was a super organised, pre-plan woman who fixes everything, always had a plan of action and generally had herself and her life put together. I enjoyed reading about her character and was appalled at David for ruining what they had with a stupid fling with a girl his daughter’s age. Audrey thought the same as me. So we were at least at this point on the same wavelength. (view spoiler)[Grace changes her looks and her personality in Paris, then just as she’s getting a bit of lovin’ from her ex-love Phillipe, David shows up and wants them to get back together. NO. Do not do this Grace. I knew where this was headed as soon as he arrived. In fact before he arrived, because Mimi came with him. Mimi is Grace’s grandmother who effectively raised Grace after her parents were killed in a car crash. She’s vivacious, funny, outspoken, lively... and about 90 years old! I was soooo hoping that Grace would surprise me and not go back to David, but in the end that is what happened, and that is why I changed my rating for this book from 4 stars to 3.5, rounded down!! I was absolutely gutted. She even started saying that she could understand why he did it, and she was partly responsible for letting their marriage get so predictable. NO.... so I got angry. Audrey, I felt, completely changed from when she was home in London, to when she was in Paris. I felt like I was reading two different characters. Not just the progression of the character, but it was like a completely new character. She sounded down trodden in London, being caring and looking after her mum, but then in Paris she was sarcastic and rude. I struggled to like her when she was being obnoxious, but as she softened during her time with Grace, I found her a bit more appealing.